Global Shop Solutions One-System™ ERP software system offers all the applications you need to run a leaner, more efficient manufacturing operation. From CRM, inventory management and agile project management, to job costing, scheduling, tracking and efficient quality management, every application you need is right at your fingertips. Select just the combination of modules you need. Each software application is designed and engineered by our team to give manufacturers control over every factor affecting their cost of goods. We make it simpler to see how each area of your business is affecting the big picture. Our seamless integration with CAD and other engineering programs allows data to flow into your ERP software from the initial stages of a project all the way to delivery. Available on premise and in the cloud. Manage your shop in real-time with accurate data. Improve customer satisfaction by keeping all your projects on task and on time. Efficiently manage business relationships and effectively interact with prospects and customers. Reduce manufacturing costs through simplified material tracking. Increase your sales conversion rates with improved efficiency and leaner processes. Manage business finances easier with a system integrated with inventory, purchasing and sales. 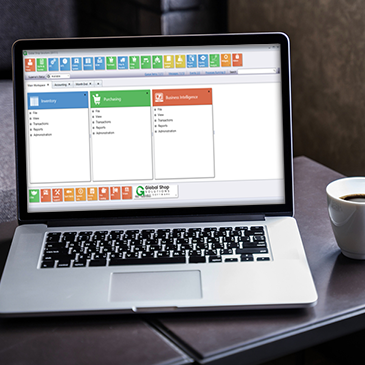 Customizable codes and reporting gives quality management the data they need. Increase productivity with accurate time tracking on the shop floor. Provide visibility and full documentation of scheduled preventative maintenance. Meet your budget and deadlines with tools designed for a winning team. Create custom applications, enhance screens and automate tasks. 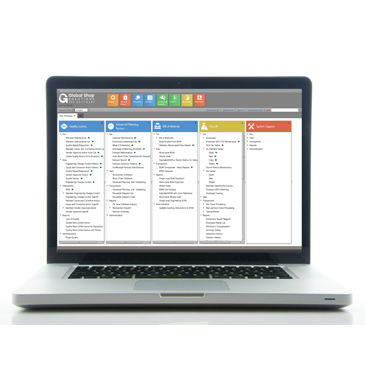 Simplify process documentation tracking and maintain manufacturing quality certifications. Quickly print all your inventory bin labels, mailing labels and shipping labels. Meet the technology expectations of customers with single-entry data. Increase efficiency and accuracy by conducting transactions online safely and securely. Reduce shop waste, use material effectively, and save time with real-time machine data. Enable prospects, customers, or employees to configure products based on predefined options. Seamless integration with popular design packages such as AutoCAD®, SolidWorks®, Solid Edge®, Inventor®, and more. Manage your business contacts and critical business data from any device. Cover your entire shop floor and field personnel and be assured of fast, accurate, online data. Monitor your manufacturing health and make better decisions with accurate data. Group-based security to manage document version and permissions. Allows you to attach all types of files to transactions within the ERP system. Automatically inform customers, vendors or employees when selected events occur. Compile manufacturing best practice key performance indicators. Get a great looking website and see your business across the Internet. 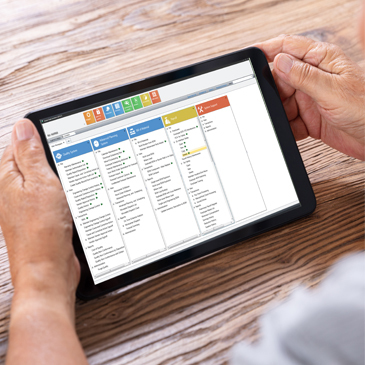 View the latest work orders being completed on work centers as it happens in real-time. Breakdown your finished goods costs to determine individual costing components. Use the latest technology to make routine tasks like clocking in and out uncomplicated. Give your manufacturing business one system to manage your human capital and their benefits. Access anywhere from any device. Lower your costs and increase your speed. Expedite time from design to production with side-by-side comparison of BOMs. Get more done in less time with all data in a single screen. Get your business on Google, Bing and Yahoo · Build your brand across other websites · Target mobile phones.